What's your favourite perfume for the autumn season? And here it comes, autumn, again.. Falling leaves outside my window, gloomy weather.. Pretty sad, and annoying at the same time. Drinking a hot cup of tea and thinking about all those magnificent perfumes for the autumn season. 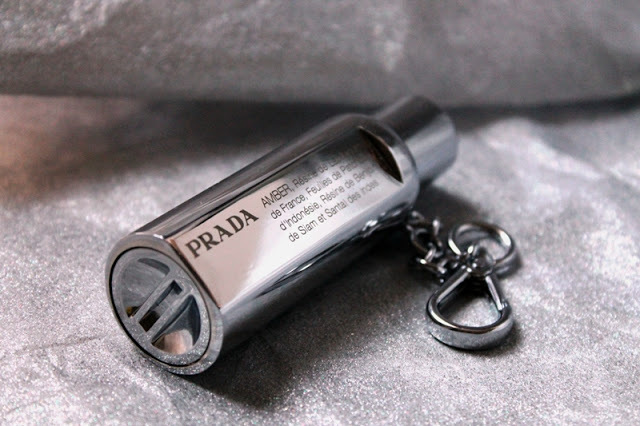 So, my favourite perfume for the autumn season is Purse Spray, Eau de Parfum by Prada. It has a long lasting scent and it's very comfy cause it comes with 3x10ml refills, to slot inside the very nice and special metal casing. Top Notes: Italian Bergamot Oil, Bitter Orange Oil, Mandarin Oil Sicily, Mimosa Absolute. Middle Notes: Rose Absolute, Schimus Molle Absolute, Patchouli Oil Indonesia. Base Notes: Labdanum Resinoide, Tonka Bean Absolute, Sandalwood Oil India, Benzoin Siam Resinoide. Here are some photos, enjoy it! I love Diesel Loverdose ! Ore my old favorite Gucci.. I am always looking for new scents, thanks! che buono!^^ in questo periodo sto amando La Petite Robe Noir, ma non l'ho ancora acquistato! :) un bacio! The Parfume looks soooo cool! Great blogpost! I love the perfumes of Bruno Banani! I haven't a favourite perfume... I love sweet fragrances!! anch'io sono tristina per la fine dell'estate, poi qui a milano è sempre tutto grigio :( non ho ancora sentito questo profumo, mi ha fatto venire la curiosità di provarlo! That is a beautiful case for perfume! I don't really wear fragrances, but as of late, I've been pretty tempted. my favorite perfume of all time is my Vera Wang Princess. it smells so good all year round. 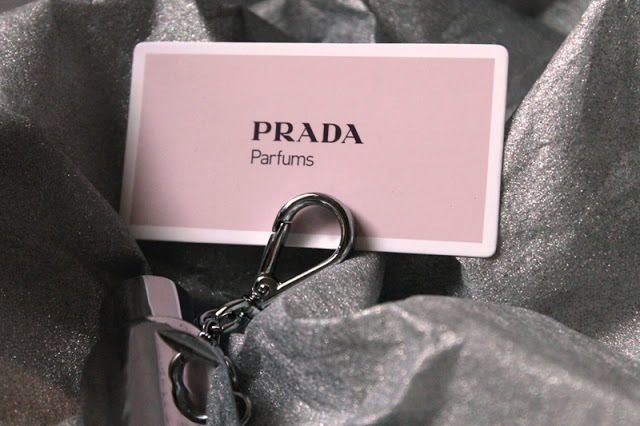 prada perfumes are always the BEST!!! i think this perfume smells very good! bel blog, ti seguo con piacere! I use Miss Cherrie from Dior... it has a sweet smell and lasts all day! Nuovo post su www.thegoldenglam.blogspot.it passa a commentare se ti va.
Io non l'ho ancora sentito! Great post,I'm a fragrances addicted! It look great. Nice post. I'm actually looking for a new scent, this review couldn't come at a better time! I like this kind of perfums, and this looks so good! I would like try it! I hate autumn too, all involving bad weather doesn't work for me. That perfume looks good I like the bottle I will check if I see it at shome shop. Usually I do not wear perfume, I prefer to put on body cream. this is great...i love that it is refillable! 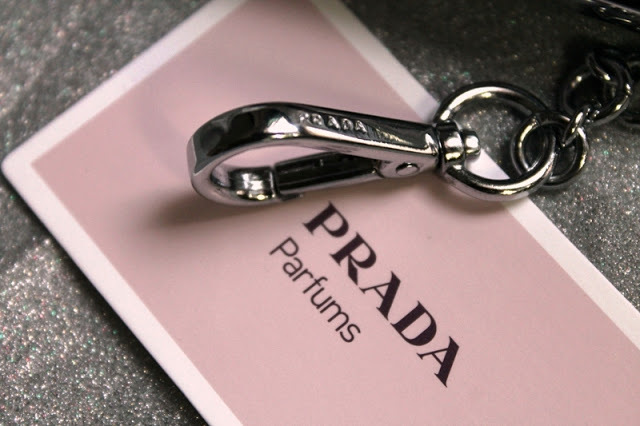 I'm not much of a perfume person, but that Prada perfume does look handy! Che piacevole scoperta il tuo blog! Ti seguo, ma non sono su Bloglovin e GF. Ah per il profumo, sto ancora usando quello estivo, ma a giorni cambierò stagione, lo prometto! Loretta del grande Andy Tauer, profumo di un altro pianeta. Bel sito, l'ho trovato dalla gruccia. non ho mai sentito questo profumo, ma la confezione è daavero carina, molto originale! Beautiful perfume for this tiem of year! I want to try this out!